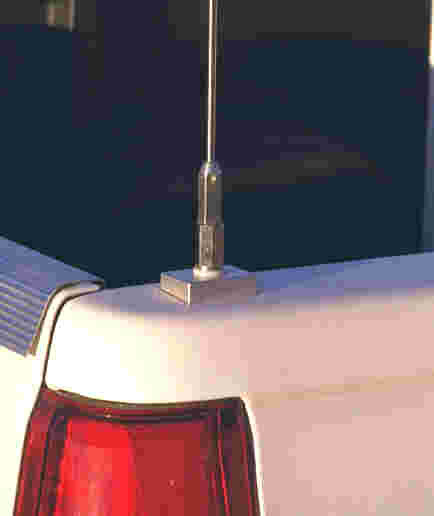 The strongest antenna mount made for pickup trucks! NOTICE: I am currently on hiatus because I am very occupied with family duties. I need to make more mounts for the Ford, Dodge, and Tundra trucks, but do not have the time right now. GeoTool is a one person business and though I enjoy the mount making and selling, I must put my energies elsewhere for a few months. I will return to making mounts as soon as possible. In order to keep the mounts on the market, if you, or someone you know, would be interested in purchasing the company, and patent rights, please contact me. Note: New pricing may not be shown on the following web pages and order forms. Please use new prices shown below on this page when ordering. SCROLL DOWN FOR ADDITIONAL INFORMATION!!!! the STRONGEST YOU CAN BUY!! GeoTool makes the PERFECT mount for Little Tarheel II, Tarheel Model 75A "Stubby", HI-Q Hi-Sierra Sidekick, MFJ-1662, and any other Screwdriver Antenna utilizing a 3/8"-24 single point mount system. 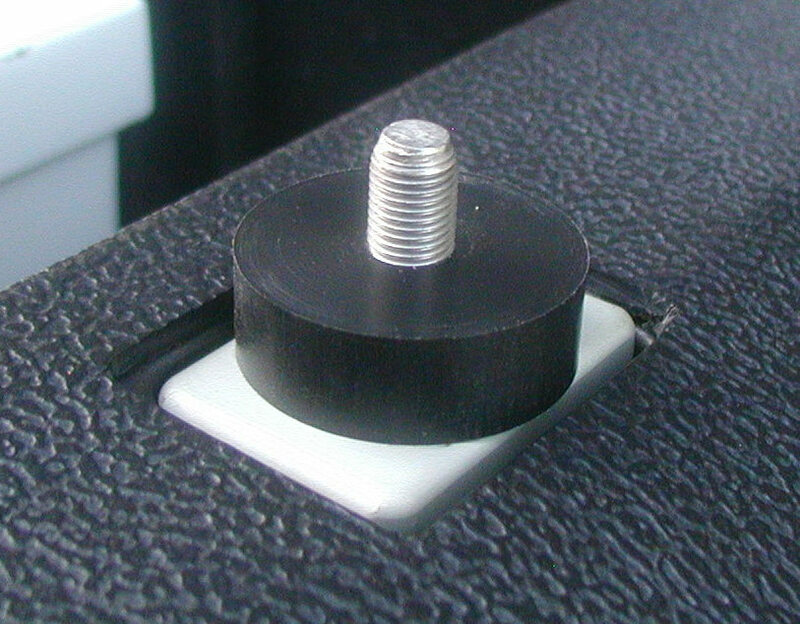 The strong, clean design of the ISM-1 Screwdriver Antenna Mount is shown above, with a 3/8"-24 mounting bolt. 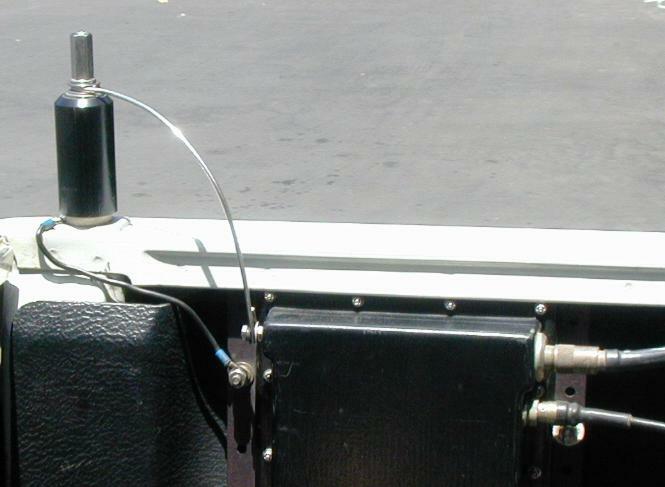 Simply screw your antenna onto the mount, and plug in the control line. Your coax attaches inside the mount using the same solderless connectors as our other HF mounts. This really is the strongest, and best grounded mount for this purpose. It puts the antenna up where the whole length will radiate. Click here for installation instructions and more photos. · Can also be attached to a metal or wood support for fixed location use. · The 1.5"x3.0" insulator has one stainless steel 3/8"-24 threaded inserts on each end for long thread life. 3/8"-24 fittings screw into steel, not Delrin. · The larger, Heavy Duty Delrin Insulator (2.0"x4.0") has two threaded inserts in each end, and a 2" long threaded stud installed. · All Stainless Steel hardware for minimum maintenance. · Includes light duty coupling nut with 1/2" flutes (use with 102" stainless steel antennas, fiberglass CB whip antennas, and even Hustler style antennas). · Heavy duty coupling nut, as shown in photo on left, above - add $6.00. · 3/32" brass or stainless steel hot lead is also available - add $3.49. · Stainless steel 1.5" diameter base support washer. · 3/8" solderless connector included for initial setup and testing. Copper, brass or stainless steel wire is recommended for permanent connections. · Insulators are modeled after a design presented in QST by AA4PB. · Works great with Radio Shack stainless steel CB Whip (available for about $20.00.) Can also be used with coil loaded antennas, such as Hustler, etc. Not recommended for fiberglass antennas with thin wire conductors. High currents on can cause small antenna wire inside the fiberglass to melt. · I highly recommend the AA4PB Tuner Controller Interface for use with Icom and Alinco Radios and SGC Antenna Couplers. I've used one for many years, and highly recommend it. It works great! · 1.5"x3.0" Basic Insulator Kit - One threaded stainless inserts each end, 1.5" long threaded studs, nuts, lockwashers, and 1/2"x1" (WxL)coupling nut. · 1.5"x3.0" Basic Insulator purchased only with a GeoTool Mount. Uses some hardware supplied with your mount. · 2.0"x4.0" Heavy Duty Insulator Kit - Two threaded stainless inserts each end, 2.0" long threaded studs, nuts, lock washers, flat washers and Heavy Duty (5/8"x1.2" WxL - 3/6"x24) Coupling Nut. · 2.0"x4.0" Heavy Duty Insulator Kit - Purchased only with a GeoTool Stake Pocket Antenna mount. Uses some hardware supplied with your mount. · Heavy duty coupling nut as shown in photo on left, above. · 3/32" Brass Connector Wire. One end bent to fit the 3/8"-24 stud on our insulators. Other end must be cut and formed to fit your antenna coupler. The chart below shows the approximate dimensions of our mounts. Be sure to include the measurements of your stake pocket in your order. All mounts are slightly smaller than the stake pocket on purpose, and a snug fit is obtained by shimming the top of the mount with plastic electrical tape. This avoids the problem of oversize mounts caused by variations in the manufacturing of the trucks. When you order, please list the stake pocket dimensions, particularly the depth, and the make, model and year of your truck..... That's all I need to fit you with the correct mount. Mount prices have changed due to increases in the price of parts and labor. Prices now also reflect the amount of aluminum in the mount and the amount of time spent machining. The prices for each mount are shown below. To see if our mounts will fit your truck, refer to the chart below. **All VHF mounts are 5.75 INCHES long. Anchor bolt spacers (stainless steel washers, or Schedule 80 Aluminum tubing + washers) are provided with all mounts to align the top even with the top of the bed rail. Because pocket depths vary, it is important to tell me the depth as accurately as you can. The top dimensions almost always fit, but it is a good idea to send them along too. 4. OR you may Mail your order with a check or money order. See address below. I know you sent it and I can contact you if I don't see it. Use the mount block dimension chart above see which mount fits your truck. Be sure to check the stake pockets on your truck for not only size, but for the internal brackets that our mounts attach to. Some new trucks do not have an internal bracket. The only ones I know of right now are the 2010 and 2011 crew cab Fords with the Short (5.5'±) bed. The long bed version still has internal brackets. Scroll down to read more about this problem. It may be possible to use our mounts with these trucks, but some modification to the bed rail cap, and additional parts for mounting, will be required. You can pay using a check, PayPal, or a credit card (through the PayPal system). As you can see from the link above, the truck does have stake holes in the top of the bed rail. I am working on a method to install our mounts in the rear pockets on these trucks. The system will only work on the rear pockets. Fortunately the long bed (Fleet Style) versions of the Ford trucks has the standard stake pockets that fit our mounts, and they do have brackets installed to hold our mounts. Be sure to buy a truck with internal brackets to hold our mounts. Ham Radio Outlet Stores http://www.hamradio.com A friend of GeoTool for many years. Purveyors of quality amateur electronic equipment. Thanks for your many referrals! Tarheel Antennas http://www.tarheelantennas.com A friend of GeoTool for many years. Purveyors of quality mobile antennas. Thanks for your many referrals! Diamond Antenna - http://ww.rfparts.com/diamond/home.html Provider of antennas and mounts for vhf-uhf and other amateur and commercial frequencies, plus a wide variety of parts for RF construction and repair. Check out their new SD-330 Screwdriver Antenna! Thanks for your many referrals! 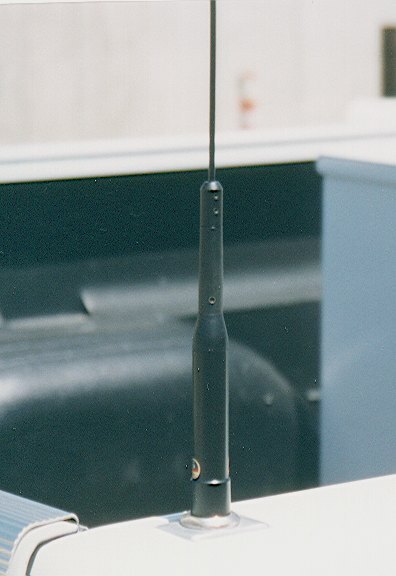 Hi-Q Antennas - http://ww.hiqantennas.com Manufacturers of the Stealth II antenna, and remotely tuned mobile antennas with the Hi-Q coil for improved performance. Thanks for your many referrals! Indalex Aluminum Solutions - http://www.indalex.com Aluminum extrusion provider for GeoTool antenna mounts. Although a very large international company, they treat our relatively 'small' orders just like they do larger firms. They have provided GeoTool with quality antenna mount extrusions since we began selling mounts in 1998. A friend of GeoTool for many years. Ideal Anodizing - 1250 N Blue Gum St., Anaheim, CA 92806 - 714-630-8131 - 33.8534 -117.8715 Also located in Santa Ana California - Perform bead blasting deburring, and anodizing of our mounts. Precon - http://www.precon-inc.com - Located in Anaheim, California - Cut mount blocks to size from the extrusion and deburr the mounts prior to anodizing. http://ww.ham-kits.com (AA4PB) Antenna coupler controllers for ICOM & Alinco radios, Multi Radio Sound Card Isolation Interface, Sealed Lead Acid Charger, Tape/CD Switch.